Perfect for using under make-up our DAILY MOISTURISER can be used anytime of the day when your skin needs a quick re-hydration. Our lightly textured moisturiser infused with pure rose oil will gently feed your skin and nurture your spirit. Best suited for Normal/Dry skin types. 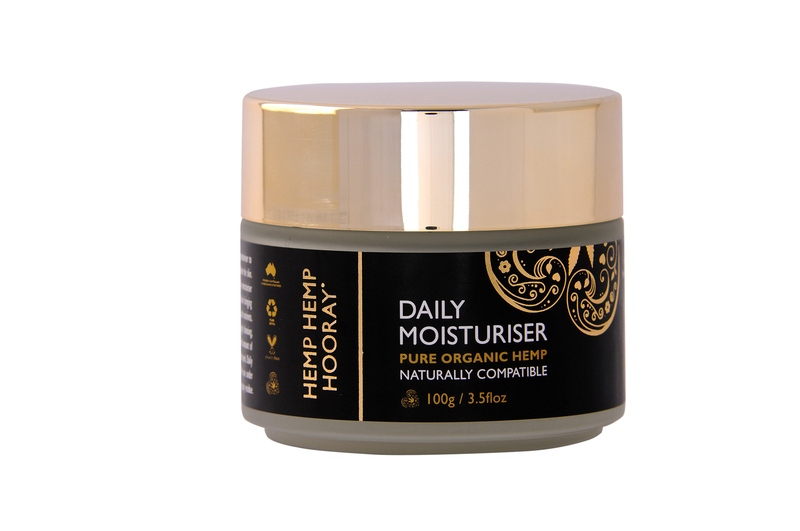 Organically grown pure hemp seed oil, almond oil, shea butter and cocoa butter, cradled in a base of divine rose floral water combine to create our gorgeous daily moisturiser. Rose floral water is a gentle antiseptic and has soothing and anti-inflammatory properties. You may even enjoy it as a light body moisturiser as it also creates a unique perfume once settled with your own body chemistry. 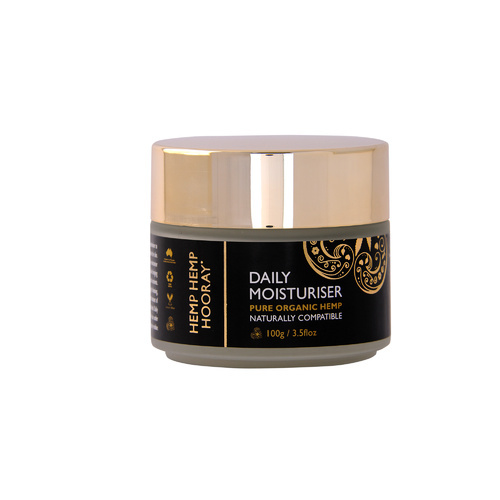 Scented with pure essential oils of rose and patchouli, daily moisturiser has a rich musky floral scent which is very grounding and nurtures the soul. Pure rose essential oil is suitable for all skin types however especially so for dry, sensitive or ageing skin with an astringent effect that can be helpful for reducing redness caused by enlarged capillaries. Patchouli is a very valuable oil for some skin conditions such as eczema, cracked skin or fungal infections due to its antiseptic and fungicidal properties, it is also a cell-regenerator. 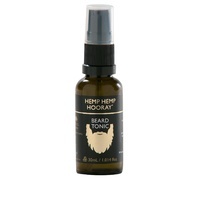 Hemp has a natural SPF of 6 and shea contains high levels of cinnamic acid (a natural sunscreen) – while this will provide some degree of sun protection you may wish to include a facial sunscreen or foundation for further protection.